for our clients in the Puget Sound Region. Our experienced developers employ a broad range of today's software technology to create solutions. Although Microsoft Access has been our primary tool, our experienced staff employs other MS Office applications, including MS Excel, and MS Word, to meet specific requirements when appropriate. 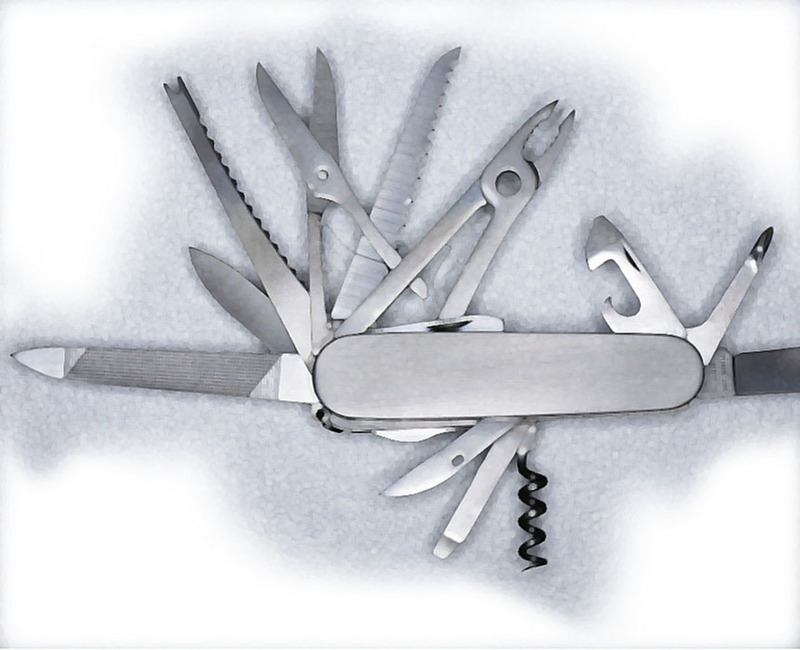 Other tools in our tookbox include SQL Server and .Net, and even VB6. Because each database . Each database is tailored to your needs. Each tool has it's own strengths. Your database application may involve any or all of them. We follow specific strategies to ensure the best possible outcome for your custom database solution. Microsoft Access is a database management program that uses customized database files that can help you collect, organize, analyze, and display your important information. User interface features (such as forms and reports) are built into the database files. Access is designed to easily interact with other Microsoft Office programs such as Excel, Word, and Outlook to leverage their features and capabilities. Access works best for medium amounts of data that are utilized by less than 25 people at a time and when data security is not an issue. Access is considered a Rapid Application Development (RAD) tool, because it is easy to prototype a project. Many successful projects incorporate an interface built with MS Access to a SQL Server database. Microsoft SQL Server is a database management program that uses integrated databases that can help you organize and analyze your important information. It works with virtually any amount of data, can be utilized by essentially any number of people, has robust security for data access, and can include many other features that make it useful for any size organization. User interfaces for collecting and displaying information must be developed outside of SQL Server using web or desktop development tools. SQL Server can be deployed on-premises in a client's network, or it can be rented as a hosted service. A common strategy is to create the interface in Access for the SQL Server database. When SQL server is used for a website, the interface must be created with .net or other web-compatible technology. Microsoft Excel is a spreadsheet management program that uses customized spreadsheet files to collect, organize, analyze, and display numeric and textual information. It can utilize many built-in functions for statistical and financial analysis, and does great for most common number crunching needs. The spreadsheets files can be customized to include forms for input and other business logic. Excel is designed to easily interact with other Microsoft Office programs such as Access, Word, and Outlook to leverage their features and capabilities. Excel works best for relatively smaller amounts data (compared to databases), when the focus is on numerical information, and when a single user is accessing the spreadsheet at a time. A common strategy is to automate Excel from within an Access application to take advantage of Excel's superior charting and graphing capabilities, as well as Pivot Charts. Microsoft Word is a word processor. Word can be automated in a couple of different ways. Word Templates contain "boiler-plate" language that can be combined with data from Access to mass-produce letters and other documents with minimal manual effort. Another common strategy is to automate Word from MS Access to create "on-the-fly" custom documents from data stored in the database. The term ".Net" is shorthard for the .NET Framework (pronounced dot net). It refers to the software framework which runs primarily on Microsoft Windows. The primary development environment for .NET software is called Visual Studio. .Net provides a full range of libraries to create or manage the user interface, data access, database connectivity, cryptography, web application development, numeric algorithms, and network communications. A common strategy is to create a rich, powerful desktop application, a web application, or both, using .Net programming tools with a SQL Server database, either on-premises or rented from a web hosting company. Data Migration is a methodology, rather than a technology; it is often an important part of a successful software project. Moving data from an older sytem to a new one requires planning and preparation. The term Extract/Transform/Load (ETL) is often used to describe this. The first step is to map data between the old system and the new to be sure all data is accounted for and that each required data point has a home in the new system. Then scripts are created to Extract data from the old system. In the Transform step, additional scripts may be created to modify extracted data elments to conform to the requirements of the new system. In the Load step, scripts are created to load the transformed data into the database behind the new system. Visual Basic is an older software development language (first released in 1991) that is still used today. The final version, VB 6.0, was released in 1998. It's an event-driven programming language and integrated development environment (IDE) that can be used to create or modify Windows applications. Very few new applications are created with VB today, but many applications which were built with it are still in use today; maintaining them requires VB skills.